London-based singer-songwriter and multi-instrumentalist Cerian, was classically trained in voice, harp, piano and guitar and studied music as a choral scholar at Cambridge University. 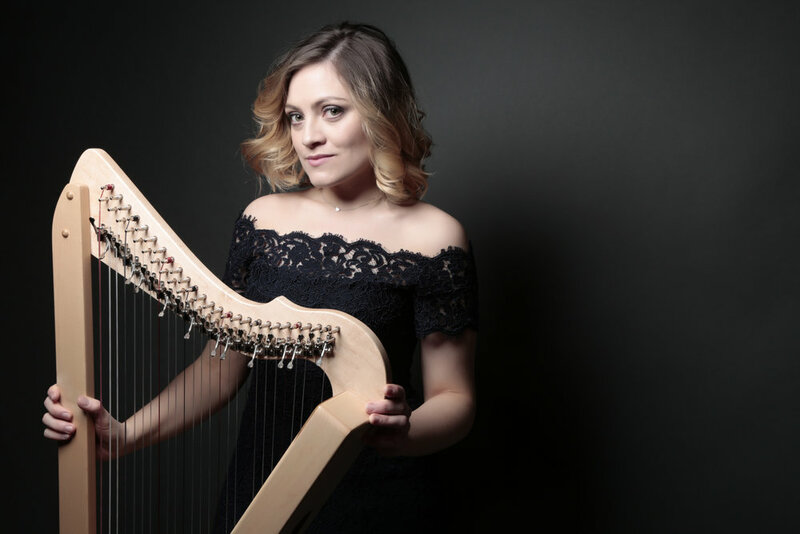 Known for being a ground-breaking singing harpist, she is a sponsored artist of Rees Harps. She has contributed her soprano vocals to numerous creative collaborations, appearing on six tracks of the latest Radiohead album, on the classical chart-topping Burberry fashion show score by Ilan Eshkeri and on the film soundtrack to "Suspiria" written by Thom Yorke. She has sung with a range of renowned artists including U2, Sam Smith, Neneh Cherry, Imogen Heap, Charlotte Church, Tom Chaplin and Amber Run. As a harpist she has appeared on Michael McIntyre's Big Show, BBC dramas "I Want My Wife Back" and "Shakespeare and Hathaway", and live on BBC Radio 3's "In Tune", and has also sung in the BBC Proms, on BBC Radio 2, The One Show, The Graham Norton Show and Capital FM and at prestigious venues such as The Royal Albert Hall, Royal Festival Hall, Ronnie Scott's and the National Portrait Gallery. She has sung for multiple brands including Sky Films, ITV, Talk Talk TV, Burberry, iTunes Festival, Playstation, EA Games, Landrover, The Sims and Guitar Hero Live. As a singer-songwriter and artist, Cerian has been described as “the purest voice on radio” (Justine Greene, BBC) and is tipped by Music Republic Magazine as one of their “ones to watch” in 2019. Within a month of releasing her first song online, Cerian was a BBC Introducing featured artist and has been played nationally on BBC Radio on many occasions. Described as the "voice of an angel", Cerian has released three singles to critical acclaim in her own brand of contemporary ethereal folk-pop. Cerian offers a bespoke service of writing a song especially for you. Get in touch to discuss and get a quotation. Cerian has played at many weddings, functions and events and offers a unique and beautiful musical element to your event. Use the form below to get in touch and discuss your requirements.